When it comes to tower servers, flexibility is the name of the game, and the Dell PowerEdge T620 tower server is a very adaptable and scalable platform for SMBs. The tower form factor is an excellent choice for businesses that either don't have a dedicated server room or for a remote branch office. This system can also be rack mounted with an optional rail kit and is fully compatible with other applications and infrastructures. The Dell T620 server also supports up to 24 DIMM modules and 32 drive bays - not to mention the Intel Xeon E5-2600 processing power! A maximum of two E5-2600 or E5-2600 v2 product family processors with up to 12 cores each are supported. You can start out with just one processor, and as your business needs change, add a second processor to support more memory and storage. The system is powered by either a 495W, 750W, or 1100W Platinum Plus power supply. There's also a titanium rated 750W power supply available. The Intel C602 chipset supports two DIMMs per channel and up to 24 DDR3 DIMM modules in a two processor configuration. Both registered DIMM (RDIMM) and load-reduced DIMM (LRDIMM) modules are supported. Each processor controls up to 12 memory modules operating at speeds of up to 1866MT/s. With all memory channels loaded with 32GB memory modules, the T620 tower server supports a maximum of 768GB of memory. Cut that in half for a single processor application with a full complement of memory modules. 2.5-inch and 3.5-inch SAS, SATA, nearline SAS, and Self-Encrypting SSDs and HDDs are supported on the PowerEdge T620 server. There's also an option for 2.5-inch PCIe SSDs. With a specific storage configuration and two CPUs installed, the system supports a maximum of 48TB of internal storage. Depending on your storage to performance needs, there are basically four different chassis options to choose from; 8 x 3.5-inch drives paired with 4 x PCIe SSD drives for tiered storage, another with 12 x 3.5-inch hot swap hard drives, one with 16 x 2.5-inch drive bays paired with an optional four PCIe SSDs, and for some truly impressive storage and speed, a chassis outfitted with 32 x 2.5-inch hot swap HDs. All hard drives are located behind a lockable, snap off bezel. It features a built-in PERC S110 controller but that only supports SATA and is limited to just four disks. A selection of optional PERC8 RAID controllers provide performance and additional RAID options. There are seven PCIe 3.0 slots on the back to support additional storage controllers, LOMs, or multi-core GPU accelerators from Nvidia and AMD. There are also several USB connectors and a video connector to support a range of external devices. 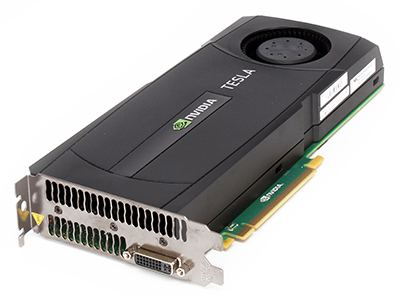 For even more processing power or virtual desktop infrastructure (VDI) deployments, the system can support up to four optional 300W full-length single- or double-wide internal graphics processing accelerators. With only one processor installed, only two GPU cards are supported. The optional GPUs will require a GPU enablement kit to install. An optional internal Dual SD card offers failsafe support for the hypervisor when used in mirror mode. Management is handled by iDRAC7 with Lifecycle Controller and Dell's OpenManage portfolio of systems management solutions including the OpenManage Essentials console. The iDRAC controller embedded on the motherboard enables out-of-band system management, even when the system is powered off. Upgrading to iDRAC7 Enterprise enables remote access using a browser. The Dell PowerEdge T620 tower server has an impressive memory and storage capacity and is an excellent system for SMBs and datacenters. 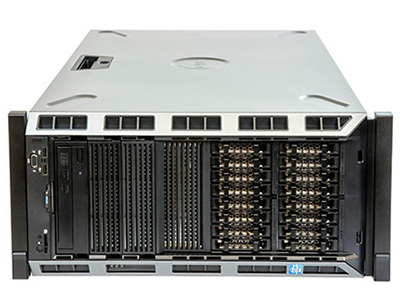 It's a solid performer for both general purpose and high performance computing. SMBs will appreciate the potential of the system to grow with their changing needs over time and the ability to mount the system in a rack enclosure. It's also quiet under load for front office deployments.